c’mon fellas! 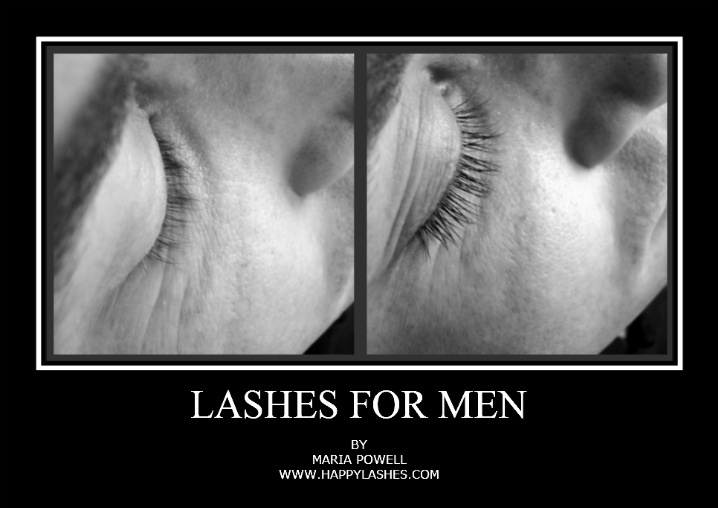 eyelash extensions are for men too! We all know men have long since ventured into the realm of personal maintenance. Hairstyling, tanning, and “man- scaping” are a regular occurrence for many men. In fact, it is often a part of the package that creates and molds self confidence. So guys, why neglect you eyelashes? Your eyes are your most powerful tools! Our lash stylists have the ability to subtlety enhance your eyes using a custom blend of short, straight, natural toned eyelash extensions that remain masculine in appearance. In addition to enhancing your existing eyelashes, our eyelash extensions for men are also a great option for men who suffer from hair loss due to genetics or other factors. Our natural looking and well groomed eyelash extensions will be undetectable, but will provide immeasurable confidence! Whether you are aiming to maintain more powerful and meaningful eye contact with that special someone, or holding that authoritative gaze in an important business meeting, we know that our happy lashes eyelash extensions will give you the added edge over the competition. remember, our happy lashes technicians are HAPPY to speak with you about any further questions or concerns you have prior to your appointment. we invite you to give us a call and check us out on www.HAPPYLASHES.com!